Well bloggers, I haven’t written about this yet because, to be quite honest, I was still processing and digesting it. The day before Thanksgiving my other half, Doug, was diagnosed with Type 2 Diebetes. He hadn’t felt well for a long time and always just wrote it off as “I’m getting older”. He went to a new doctor for a different reason because his doctor wasn’t available. The new doctor in one visit and as a new patient ran all kinds of bloodwork, etc on him and found that his sugars/cholesterol/triglycerides, and everything else were just about off the charts. He was ordered that evening (mind you the night before our Thanksgiving Feast hosted at our house) that he was to go on a major diet change, get a glucose meter and exercise, etc, etc. Doug is not a HUGE person, but he’s a manly man. 6’1” and probably was 260 pounds prior to the Diabetes. Doug and I love to cook. He’s a VERY good cook and doesn’t cook easy things. He loves to watch the food network and replicate with a twist the things he sees. I love to cook Italian foods and sweets. We indulged in Thanksgiving, but the very next day, he took it very seriously and started to eat only healthier food. 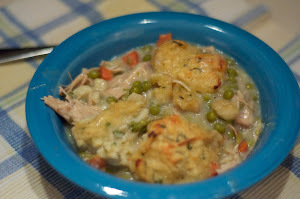 No longer were we fixing casseroles smothered in cheese and cream sauce, gone were the Chicken Pot pie he is famous for, gone were the sweets (his weakness) and bye bye Fettucine Alfredo (my favorite). It was hello to meat, veggies and some other good choices. Well at his 1 month follow up appointment, the doctor was impressed. 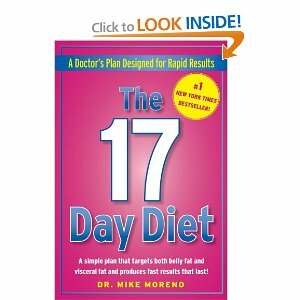 The sugars were down as well as some of the other levels, but he suggested he follow this diet called the 17 Day Diet. It’s a book you can find it online here. The doctor said I promise you will lose 30-40 pounds on this diet and that will really help your sugars come down even more. So we got the book and decided on January 2, we would start the diet. Now we THOUGHT the plan was to lose the weight in 17 days, but it’s actually a diet in 3 phases of 17 days, so it’s really 51 days. Phase I was pretty strict. It’s very low carb (much like South Beach Diet if you are familiar with it, only more strict). During the 1st phase you eat only “white meats” i.e. Chicken, Turkey & Fish, lots of veggies and of course no breads, etc. We made it through that 17 days. I lost 10 pounds. We just started Phase II, which opens up a bigger window of foods to enjoy, ie Beef, pork, potatoes, brown rice to name a few. I’ve now lost a total of 16 pounds. Doug has lost 25 pounds total since he was diagnosed (I really wasn’t dieting until Jan 2). The next Phase opens up even more foods like pasta etc. After the final phase you return to eating healthy during the week, but you get weekends off. You can eat pizza and alfredo etc if you want to. The beauty of it is, already my stomach has shrunk, I can’t eat the portions I could before. I’m full very quickly. In addition to the diet, I’ve also given up Diet Pepsi (I used to drink a 6-pack a day and sometimes more). I gave up alcohol, I used to enjoy a glass (or two) of wine in the evenings. I am at my Target weight now, but am going to keep going. I feel so much better. I’m alert, my skin looks better, my skinny clothes fit again. Doug’s sugars are dropping all the time and he’s had so many added benefits to the way he feels. Anyway.. I’ve rambled a lot, but I thought I’d tell you about this journey we have been on.